ezpos will revolutionize your retail store. With its simple user interface and low cost, ezpos allows you to make sales, track inventory, and store customer information with ease. 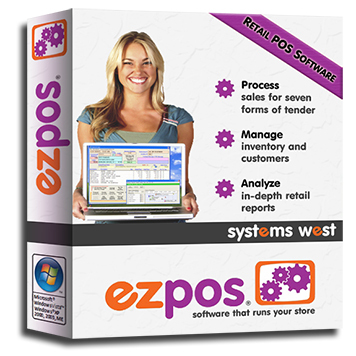 ezpos is a tremendously flexible program that adapts itself to your retail store. It is capable of a wide variety of integrations and features an expansive suite of add-ons, allowing the program to grow apace with your store! ezpos will help your new retail store break into business, or bring your existing business a new level of organization and simplicity. Learn more about ezpos STANDARD and ezpos PLUS Editions.